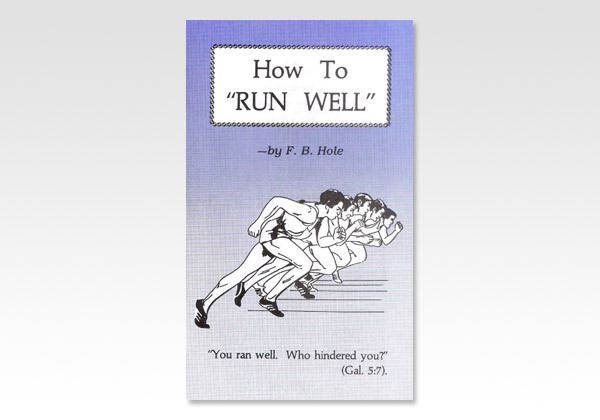 Believers Bookshelf - How to "Run Well"
-Conversion. You stand, if just converted, upon the doorstep of an absolutely new era in your existence. Without doubt, things seem new to you, and the path you now begin to tread is a little mysterious. I want (somewhat after the fashion of "Interpreter" with "Christian" in The Pilgrim's Progress) to point out one or two things which may, with God's blessing, help you at the start of your Christian career. We shall not have much to say as to your past - that is settled; nor as to your future - that is secure: both through the value of the precious blood of Christ. Our thoughts must be concentrated upon the present. You are a total loss to Satan for eternity, and he knows it; he will therefore concentrate his efforts upon spoiling your testimony for the Lord here on earth. If he can make you definitely dishonor Him, so much the better from his point of view, and if not, he has some very successful ways of stunting spiritual growth and making his poor victim anything but a successful Christian. The animal kingdom is divided into two great classes: the Vertebrate (with backbone) and the Invertebrate (without backbone). Believers also may be classified in the same way, and we long that you should be a vertebrate Christian - having backbone and being marked by decision and spiritual vigor, and not by stagnation and decay.